No, willow tress (like the one shown above) are not toxic to horses. 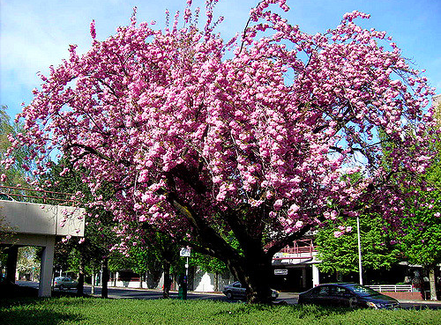 But some common trees are--and then tend to be the ones that landscapers love. Here are the most common ones. Study the photos closely. Then take a walk around your property. Are these trees anywhere your horses graze? Shavings made from black walnut trees causes founder and laminitis. NEVER use black walnut shavings for horse bedding. Red maples trees are not only very attractive, but they provide ample shade. Too bad that they also are toxic to horses. A toxin in the leaves destroys red blood cells. Contains cyanide, which prevents cells from absorbing and using oxygen. Oak: Contains tannins that cause colic.